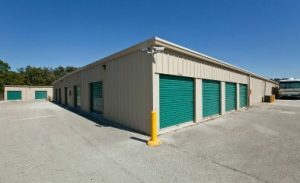 Self Storage in The Villages, FL 32159 | Self Storage Services Inc. Welcome to Fort Knox Self Storage – Duck Lake! Our facility is located off Highway 441 on Duck Lake Road, allowing us to serve the communities of The Villages, Lady Lake, Fruitland Park, Leesburg, Weirsdale, and Summerfield, Florida. Feel free to drive out here and take a look at our storage units! If you live in The Villages, Lady Lake, Fruitland Park, Leesburg, or any other surrounding community in Florida, chances are you plan to work less, and travel/fish more! That includes, of course, storing your vehicle in a safe and easily accessible place. At Fort Knox Self Storage – Duck Lake, we offer convenient boat and RV storage so you can fit your cars in the garage again and finally clear the side yard. With our wide driveways, picking up your vehicle on the way to a well-deserved trip has never been easier. If you need more space to renovate your home or you want to postpone taking your golf game to the next level, our temperature-controlled storage units are the perfect option. Stored at regulated temperatures year round, your furniture, golf equipment and other sensitive items will be kept in tip-top shape while you’re away. Plus, you get 24-hour access to your items! Our resident manager will help you through the entire rental process and answer any questions you may have, so get in touch with us today – se habla Español.